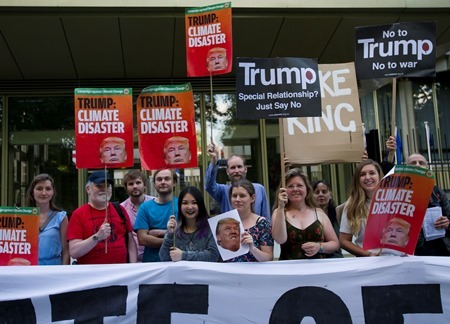 By the time it was announced, it came as no surprise - Trump pulling US out of the Paris climate deal, "a middle finger to the rest of the world and to future generations" in defiance of science, morality, ethics, economics, the majority of US public opinion, and the urging of US corporations to stay in the agreement. We are deeply disappointed that our Prime Minister, Theresa May, has not spoken out strongly against Trump's decision, as many other world leaders have done. 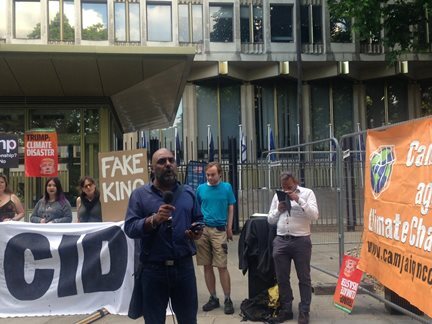 Thanks to those who came to protest outside the US embassy and listen to the announcement. 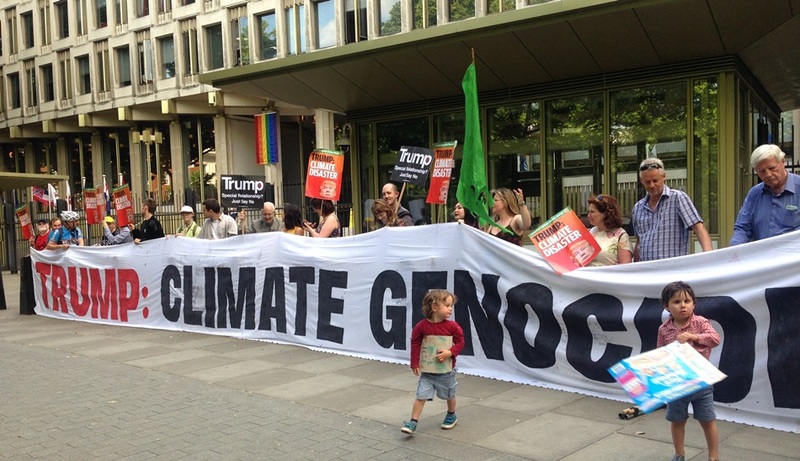 Watch this space for further action against Trump and all who seek to derail climate action. Watch video from our protest by London Live.